On this auspicious occasion, ConferenceSeries llc LTD inviting the participants from all over the globe to take part in the Asian Conclave on Neonatology and Pediatrics at Osaka, Japan during November, 2019. The theme of the conference “Emphasizing Experiments in Enlightening the Health and Well-Being of Children and Neonates” highlights the interdisciplinary nature of the recent medical as well as technological developments in the fields of neonatology and pediatrics. Scientific Tracks designed for this conference will enable the attendees and participants to learn extremes. Neonatology 2019 is an international platform where the neonatologists and pediatricians from all over the world can share their knowledge and research about their respective fields with the delegates. The main aim of the conference is to create awareness about the various neonatal ailments and to suggest proper treatments. The conference theme is concentrated on the medical development in the various fields of neonatal and pediatric researches. We look forward to an exciting and informative conference brought together by the various forms of presentation and active participation from different parts of the world. Neonatology is a subspecialty of pediatrics that involves the medical care of new-born babies, who are sick or require special medical care as a result of prematurity, low birth weight, intrauterine growth retardation, birth defects, sepsis, and pulmonary hypoplasia or birth asphyxias. It is a hospital based speciality and is generally practised in neonatal intensive care units. Neonatologists are medicinal specialists who practice in NICU, also called Neonatal Intensive Care Units, which is a hospital department dedicated completely for new born infants. Pediatrics is the bough of medicine that deals with the medical care of children, infants, and adolescents. Pediatricians handle the mental, physical, and emotional well-being of their patients, in every stage of development in good health or in illness. They also are involved with the prevention, early detection, and management of other problems that affect children and adolescents. Gynecology is the branch of medicine dealing with the functions and diseases specific to women and girls, especially those affecting the reproductive system. Infertility can be defined as the inability to conceive within 12 months. Related Topics on Gynecology and Infertility: Pregnancy Care and Delivery, Physiology of Menstruation and Ovulation, Basics of Breast Diseases related to OB/GY, Obstetrical Analgesia and Anaesthesia, Infections in Pregnancy, Recent Advances in Medical and Surgical Management, Normal Pregnancy, Labour & Puerperium, Placenta - Development, Structure, Functions. Neonatal Intensive Care Unit is the specialized care unit for the ill or premature newborn. Babies are provided with intensive medical attention and optimal environment for growth. The newborn stays in the care unit for days or weeks or longer based on the baby’s prematurity level. A pregnancy that has progressed without any problems can still have a way to complications during delivery. A baby born before 37 weeks is considered a premature baby and is at risk of many complications of prematurity, such as immature lungs, respiratory distress, and digestive problems. Congenital heart disease (CHD) is the most common congenital disorder in new-borns. Critical CHD, defined as requiring surgery or catheter-based intervention in the first year of life, occurs in approximately 25% of those with CHD. Although many new-borns with critical CHD are symptomatic and identified soon after birth, others are not diagnosed until after discharge from the birth hospitalization. In infants with critical cardiac lesions, the risk of morbidity and mortality increases when there is a delay in diagnosis and timely referral to a tertiary center with expertise in treating these patients. Optimal nutrition in infancy has substantial influence on adult life. Fluid, electrolyte, and nutrition management is important in most of the infants in neonatal intensive care unit as they have fluid shifts between intracellular, extracellular, and vascular compartments. Serious morbidity may result from inappropriate administration of fluids and electrolytes. Neonatal Research is to improve the health of low birth weight and premature infants. Solid evidence generated from such research can be used to improve the treatment of critically ill newborn babies. Neonatal hepatitis is the inflammation of the liver that occurs during the stage of early infancy, usually between one or two months after birth. Infants are infected by the virus that cause the inflammation either before birth from their mother or shortly after birth which include either the cytomegalovirus or rubella or hepatitis A, B or C viruses. Pediatric Infectious Diseases are the ailments which will impact at time of adolescence. Some of the pediatricdiseases includes bone infections, skin diseases, joint infections, blood diseases. The real reasons for pediatric infectious diseases are the parasitic diseases, bacterial contamination and viral diseases. General Pediatrics is the branch of medicine that involves the medical care of infants, children, and adolescents provided by the General pediatricians who have general medical knowledge of how treatments affect different developmental growth stages of the infants. Pediatric Orthopedics is a super specialty branch in Orthopedics which mainly tends to the latest diagnosis and treatment options for every ailment associated with the orthopedics including fractures, scoliosis, clubfoot, spine disorders, neuromuscular disorders, abnormalities in the hand and joints, and hip. Perinatal brain injury in the term infant is common in both developed and underprivileged countries. Almost all forms of perinatal brain injury will result into neonatal encephalopathy of which seizures and reduced reactivity are the most frequent clinical findings. Neonatal Meningitis is a serious medical condition in infants involving inflammation of the meninges and is more common in the neonatal period which is an important cause of morbidity and mortality. Neonatal conjunctivitis also known as ophthalmia neonatorum, is a type of infection presents during the first month of life and is acquired during delivery. The baby's eyes are contaminated during passage through the birth canal from the mother infected with either Neisseria gonorrhoeae or Chlamydia trachomatis. Neonatal nephrology is concerned with kidney or urinary tract diseases, bladder problems, or high blood pressure in the newborns occurring due to the transition from the aqueous environment of the mother’s womb to dry land creating challenges to the neonate to regulate the composition and volume of the extracellular fluid. Neonatal Urology combines the management of medical conditions, such as urinary tract infections and benign prostatic hyperplasia, with the management of surgical conditions. The most common problems are those involving disorders of urination, reproductive organs and testes. Pediatric Radiologists fill in as a feature of a demonstrative group alongside a pediatrician or pediatric specialist to give the most ideal care to a child. Pediatric radiologists are specialists in choosing the best imaging procedures to analyze therapeutic and surgical issues. Neonatal Nursing deals with newborn infants having a variety of problems like prematurity, birth defects, infection, cardiac malformations, and surgical problems. Neonatal nursing generally surround care for those infants who experience issues shortly after birth, but it also surround care for infants who experience long-term issues related to their prematurity or after birth illness. Many factors are responsible for the development of neonatal diseases like household air contamination, natural factors and high maternal Body-Mass Index (BMI), which leads to neonatal mortality. Maternal Smoking, overweight amid pregnancy is associated with risk of neonatal infection. Neonates, particularly preterm newborn children are moderately invulnerable traded off with immaturity of the Immune System and with highly developed antibodies leads to increased susceptibility to serious bacterial, viral and fungal infections. 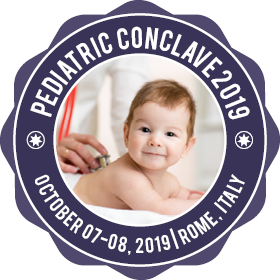 European Conclave on Neonatology and Pediatrics contributes the opportunities to determine advance techniques, research, and developments in the field of Pediatrics. All over the world these new methods and advanced techniques will be used to ensure the health of pediatrics and children. European Conclave on Neonatology and Pediatrics is a perfect platform to expand the innovative techniques and novel research trends in Pediatrics and Neonatology. Pediatrics is a versatile conference that offers expert diagnosis, treatment for all types of disorders in Pediatrics and Neonates. With this Annual meeting on Pediatrics, we will expect the expert gathering from around the world so that novel ideas and researches will come with the discussion at the conference and that will be fruitful to children adversity from different types of diseases. This International Pediatric Conference additionally supports the dynamic cooperation of youthful understudy analysts as we are facilitating Poster Award Competition and Young research Forum at the meeting setting. It is being acknowledged that the leading problems for infants and children in Rome were birth defects; prematurity/low birth weight; sudden infant death syndrome; maternal complications of pregnancy and respiratory distress syndrome. 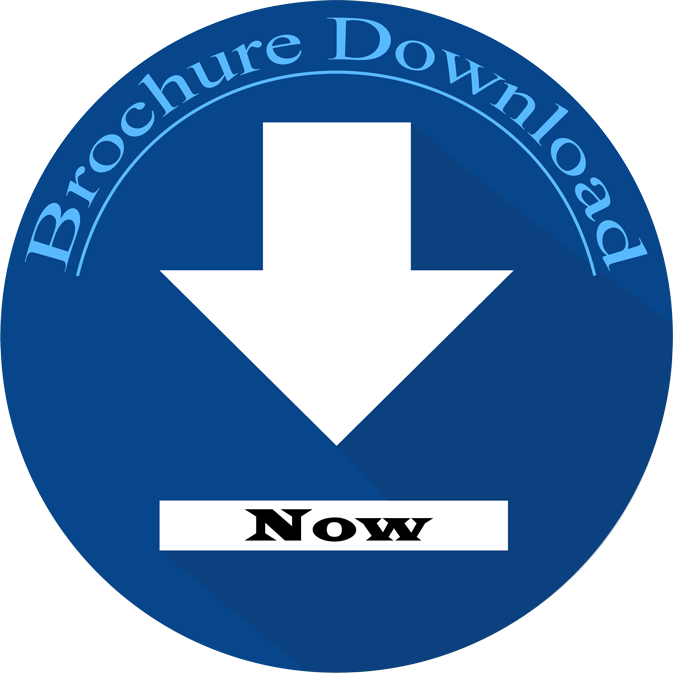 Pediatrics 2019 is a global stage for displaying research about analysis, counteractive action and administration of Pediatric ailments, trading thoughts regarding it and accordingly, adds to the dispersal of information in pediatrics for the advantage of both the scholarly community and business. This occasion unites Pediatrics specialists, Pediatrics surgeon, neonatologists, youngster authorities and all the prominent scientists and specialists in the field of Pediatric prescription to investigate the progressions in the avoidance and administration of Pediatric sicknesses. We unite mechanical administrators, Pediatric Pharma and Health mind segments, Entrepreneurs, making the gathering an ideal stage to organize, share perspectives and information through intuitive discourses. In Rome during 2011-2017 (approximately), 79 infants died before reaching their first birthday, an infant mortality rate of 7.5 per 1,500 live births. In Rome in 2014, the rate of perinatal mortality was 5.6 per 1,450 live births and fetal deaths which have reached 7.5 per 1,450 infant births by the year 2014- 2016. Reflecting this imperative Pediatrics 2019 aims to educate pediatricians, Pediatrics surgeon, neonatologists, and youngsters to achieve the goal of reducing infant mortality rate. The pediatric research incorporates various claims to fame like Pediatric sensitivity, Pediatric Oncology, Pediatric Cardiology, Pediatric Neurology, Pediatric Surgery and some more. Each Pediatric occupation conducts look into identified with their particular theme to enhance youngster human services. In Atlanta alone, there are roughly around 511 pediatricians. There are a number of generic pediatricians across the globe and Italy. As per the records it is being acknowledged that globally 6.90 % are registered pediatricians with a specific specialty. Measles Cases in Children Requiring Hospital Access in an Academic Pediatric Hospital in Italy, 2011-2016. Pediatrics investigate incorporates various strengths like Pediatrics authorities, Pediatrics professionals, Pediatrics nurses, Pediatrics respiratory specialists, Pediatrics physical advisors, Pediatrics Neurologist, Pediatrics analysts and some more. Among the normal number of rehearsing Pediatricians in Italy i.e. 1.2 for every 12,500 populaces, 0.5 pediatricians are particularly pediatricians. In Rome, there are approximately about 36 Universities which include Pediatric research. In Rome alone, there are 124 Universities and globally there are about 1367 universities which include Pediatrics research. According to the records in Rome, the market value of Pediatric research is $985.10 million. The Italy market value is 3101 and the global market value is 42000. As the number of infant deaths increasing the market growth of Pediatrics research is also increasing yearly. 2013-2016 is being acknowledged as the market value of Pediatrics research globally is $62 billion. The estimated market value in the future of Pediatric research is $79 billion.